Comment: Second story section of guttering is leaking out the end cap like a waterfall on my front door pad. I am not sure if can be sealed back up or just needs to be replaced. Also, on the opposite side of the same roof line I need to know if it would be beneficial to add a section of guttering there as well. Comment: I am extending my patio, and I need to have the gutter downspout rotated or moved so it comes down on opposite side of the corner. Form the west side to north side on the corner. Comment: I need a new open guttering system installed. My gutters need to be replaced. Comment: I would like to get an estimate for taking a look and seeing what all needs repaired with my gutters. Comment: Leaks in guttering causing water to reach foundation. downspouts in bad shape. Olathe Gutter Cleaning & Repair Services are rated 4.77 out of 5 based on 735 reviews of 20 pros. 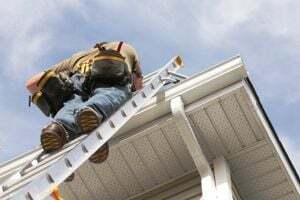 Not Looking for Gutters Contractors in Olathe, KS?